The Meadow Blue solar scheme is located on farmland at Merston, between Chichester and Bognor Regis. It is accessible from the B2166 (Pagham Road) and sits to the north of a similar 5MW commercially owned solar farm with which it shares a grid connection. The project is a 100% community owned. During 2015 we exceeded our target and raised £1,247,547 from a public share offer. It is comprised of 5MW of solar photovoltaic panels, mounted on a steel racking system, which in turn sits on shallow steel screw pile foundations to minimize ground impact. The site is regularly maintained, both in terms of equipment, safety and security, and landscaping and biodiversity. Hedges and woodland areas are managed as habitats for birds, reptiles and small mammals are sustained beneath the panels. One of the key aspects of the development is that it is reversible and will be removed from the site at the end of its 25-year life. When the solar scheme is decommissioned, the piles can be easily removed from the ground allowing the site to return to its previous form, if desired. 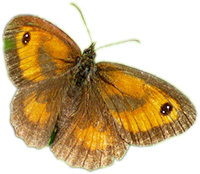 Its agricultural value and potential will not have been diminished as a result of its use as a solar farm, and its biodiversity and habitat richness will have been enhanced. The local grid network is one of the few places in the South with remaining grid capacity to accommodate significant renewable generation. Solar irradiance – the light levels around Merston are in the top 5% of the country. The site is free from classification as an AONB, SSSI, National Park area or flood risk, and is based on relatively flat land. The hedges and tree lines surrounding the site provide a natural screen for nearby residents and the community. The surrounding land is flat so the solar farm is not prominent in the wider landscape. The site is suitable for agricultural use as a wildflower meadow with grazing for sheep. 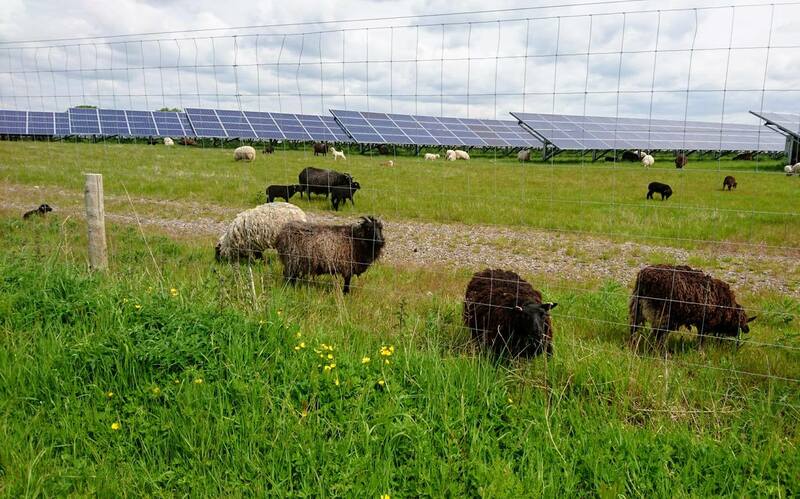 Sheep grazing on the Meadow Blue solar farm, May 2018.